Everyone is different and therefore it is not easy to pinpoint specific migraine symptoms. 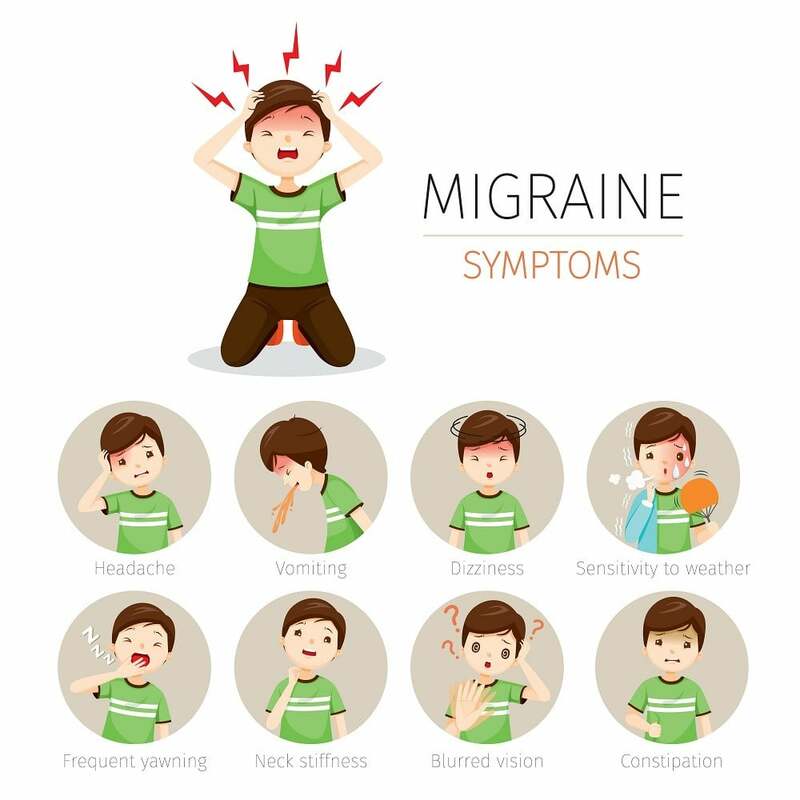 While the list of migraine symptoms below is not exhaustive, I have found these general migraine symptoms to occur without fail when an episode strikes. One of the clearest migraine symptoms. In my case, a faint pulsating pain begins on one side of my head above the eye and carries backward – usually the right side, but sometimes also on my left side. The pain increases over time and, if I do nothing to immediately alleviate the migraine episode (See the following category: Alleviating your Migraine), the pulsating pain will become worse. Often, it feels as if the pain is originating from the area of the eye, even though that is not the case. I found that I was sensitive to certain foods. I would develop a severe migraine after 1-2 days of consuming a particular food. At times, my mouth would feel sticky with thick saliva building up to the point where I felt like I throwing up. I also had little interest in eating, even after going without a meal all day. A migraine symptom that may or may not occur every time. If the migraine is particularly strong and is not aborted immediately, I start to feel sick and my stomach becomes unsettled. While some migraine sufferers will start to feel like they are going to vomit, that is not my experience. The body just does not feel right and it does not help to sit or lie down. This migraine symptom occurs regularly. The night before the episode occurs, I usually feel abnormally tired, both physically and mentally. It is difficult to concentrate on any activity. Even watching television becomes problematic and I just feel like I want to sleep. The next day, during the episode, I continue feeling tired and lethargic. This migraine symptom occurs sporadically. If the episode is severe, about the only thing that I want to do is lie down and close my eyes in a quiet surrounding. Simply increasing the volume on the radio ever so slightly causes the pulsating pain to worsen.